Contents of this frames may be used to make one Forge Bridge. This is an options to be added to your Mechanicum structures, fully compatible with all ther releases of this line. Supplied unassembled and unpainted. Designed for 28mm heroic scale. 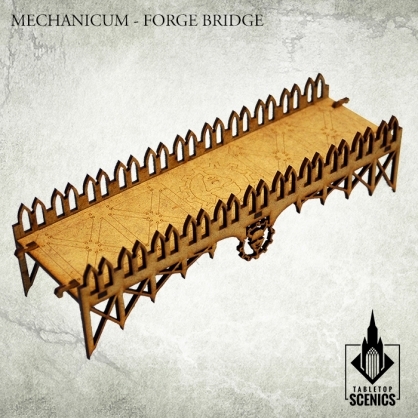 Forge Bridges form a passage way accessible even for the Mechanicum warmachines. 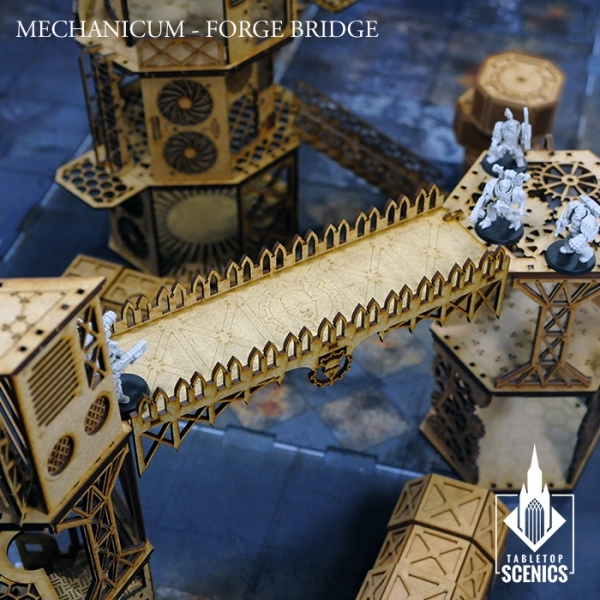 Its a large, sturdy walkway, adorned with the sacred symbols of the God Machine, providing a great firing point for an enire squad of soldiers or war machines alike.